Pictures are worth a 1,000 words – and for the creators and users of iNaturalist, that saying speaks volumes. Volumes of data, that is. 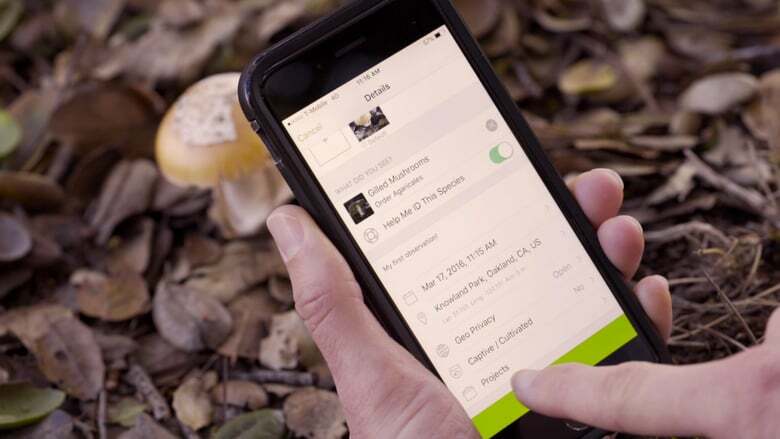 With more than 3 million observations from more than 250,000 users logged into the online platform since its initial launch in 2008, iNaturalist has become the go-to source for scientists, biologists, teachers, students, stay-at-home parents, hikers, and anyone who wants to better understand the natural world around them. SNAP AND GO: iNaturalist is an easy way to learn about nature in your own backyard while helping scientists all over the world. For scientists, iNaturalist provides revolutionary field data they could not get on their own; for others, iNaturalist offers identification of the strange bug that’s been crawling up the backyard drain pipe. For other users like B.J. Stacey of San Diego, the electronic crowdsourcing website gives him an outlet for the thousands of images he has snapped as an amateur outdoor photographer. 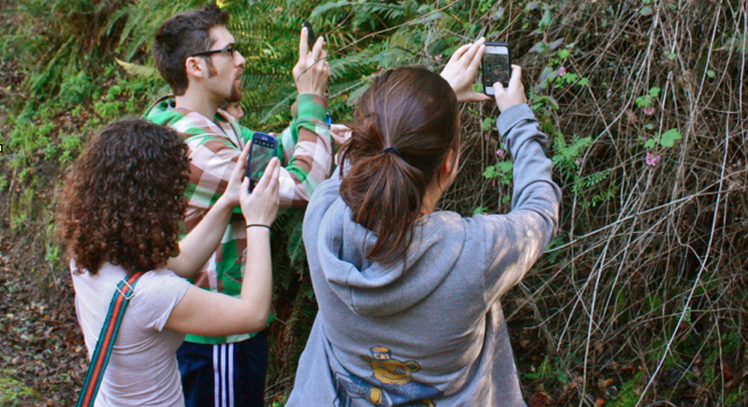 iNaturalist began as a master’s project by three grad students in the Bay Area who created a place where scientists and students could share images of natural flora and fauna in the name of research. With the dawn of citizen science, the general public wanted to be part of the action and eagerly jumped into the mix. If you haven’t been on iNaturalist, the platform is an easy-to-navigate, social media site. Users create an account to begin uploading images that are tagged with location and date. Community experts examine the photos and correct or confirm a species designation; when three experts agree, the image is deemed “museum grade” and it is uploaded to the Global Bioinformatic Data Facility (GBIF) which is used by scientists all over the world. UPLOADING: Citizen scientists can use their smartphone or Android as well as SLR camera to capture nature for iNaturalist. 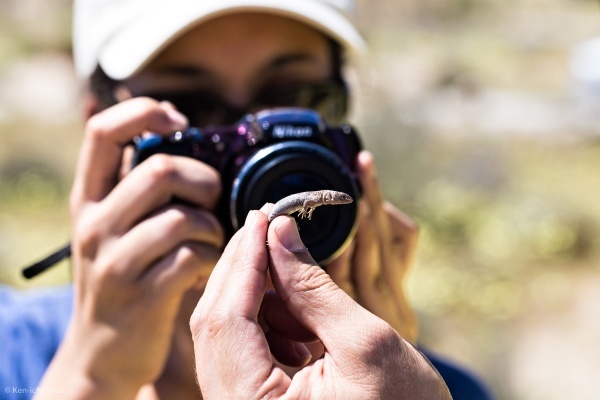 Anyone can create a specific project on the site and cull images or have participants upload photos directly to that project; in SoCal, there are specific species projects (flying squirrels, fungi, stinkbugs, mule deer, etc.) as well as event or location-centric (LA River, Wildlife of the Santa Monica Mountains, etc.). iNaturalist was acquired by the California Science Academy in 2014 and gets about 5,000 uploaded observations per day – with new technology being explored and incorporated. Even with the convenience of the iNaturalist app, most observations are uploaded via the website; Loarie thinks it’s because hard-core photographers rely on the quality of a SLR camera lens not a smart phone for details. But iNaturalist is not only photos; users can upload sound (limited capacity, tho) which can help identifying frogs, birds and other vocal critters. Loarie says there have been many requests to add video into the platform. Right now, users who want to share moving images must link a YouTube video to iNaturalist – not very user-friendly. 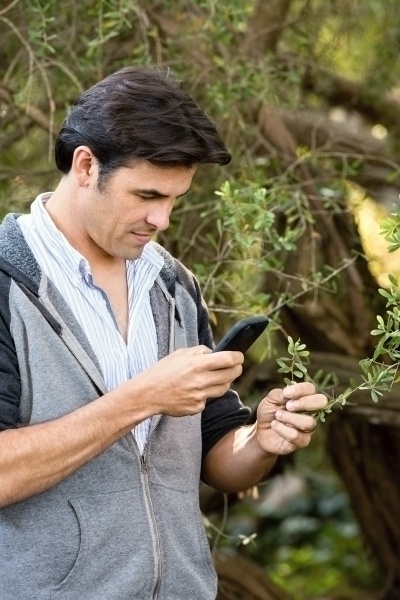 WORKING OUTDOORS – Scott Loarie, who oversees iNaturalist, is eager to engage more users as technology advances. Integrating Image Recognition software into the program is also being discussed, says Loarie, who has been following the improvements that technology has taken in the recent months. iNaturalist has met with engineers at Caltech’s Vision Laboratory and the Visipedia (Visual Encyclopedia) Program about possible collaborations. “I am sure that Image Recognition will play a role in the future,” he says but adds that experts in the field will also be essential to iNaturalist. SOCAL OBSERVATIONS — Users in Los Angeles area help scientists with their photos. “The technology can get better and can help teach the community which leads to a more educated, more informed community,” Loarie says adding that iNaturalist has the ability to be a conservation tool to produce data over time about the abundance or decline of a species in a certain distribution area. “The success of iNaturalist depends on the people using it,” points out Loarie adding that “local champions” like school teachers or professors have enormous impact on how the site is being used. One of those champions is Greg Pauly, director of Herpetology at the Natural History Museum of Los Angeles who has turned to data from iNaturalist for local and national projects. Pauly launched the RASCals project at the NHM three years ago and it has garnered more than 16,000 images of SoCal herps from more than 2,000 participants. Similarly, GeckoWatch expands the reptile hunt to track the national distribution of non-native geckos. SMILE,CRITTER – Photographs posted on iNaturalist could reveal insights into how certain species are faring with habitat loss and climate change. Through Pauly’s projects, important discoveries have been made about nonnative and new species being found which has led to citizens being part of peer-reviewed publications.